LG will soon refresh its flagship models with the launch of its next-gen G-series smartphone. The company has already confirmed the name of the handset – the LG G8 ThinQ, and its launch at the tech trade show Mobile World Congress (MWC) 2019 in Barcelona. Ahead of the day, a press render has surfaced to give us a good look at the device from all corners. Interestingly, the leak is in line with the LG G8 ThinQ CAD-based renders that 91mobiles exclusively reported a few weeks back. LG will continue with its notch-display design on the successor of LG G7+ ThinQ smartphone as well. As seen from the image, the G8 ThinQ doesn’t look too different from its predecessor. The handset seems to sport an edge-to-edge screen with a small cut-out up top. The rear end of the device flaunts fingerprint sensor and dual cameras that are aligned horizontally instead of vertical on the G7. That’s the only major visible (unimportant) difference between the two offerings. The glossy back panel suggests a glass finish, which according to rumours will be for wireless charging. The right and left spine of the phone houses power button and a volume rocker and Google Assistant button respectively. The top-edge is pretty neat except for the antenna bands (which is also there on the right edge along with Sim tray), while at the bottom, you will get speaker grill, USB Type C, and 3.5mm headphone jack – which is having its last hurrah in this jack-less world. Talking about its specifications, the G8 ThinQ will reportedly come with a 6.1-inch OLED display with 1440 x 3120pixels resolution. The phone will likely run Android 9 Pie out of the box and powered by Qualcomm Snapdragon 855 processor, coupled with 6 GB of RAM and 128GB user-expandable storage. A 3,300mAh battery is expected to fuel the device. LG has confirmed that the LG G8 ThinQ front-facing camera will flaunt a Time-of-Flight (ToF) camera for 3D face mapping. The rear camera details are yet to be revealed. 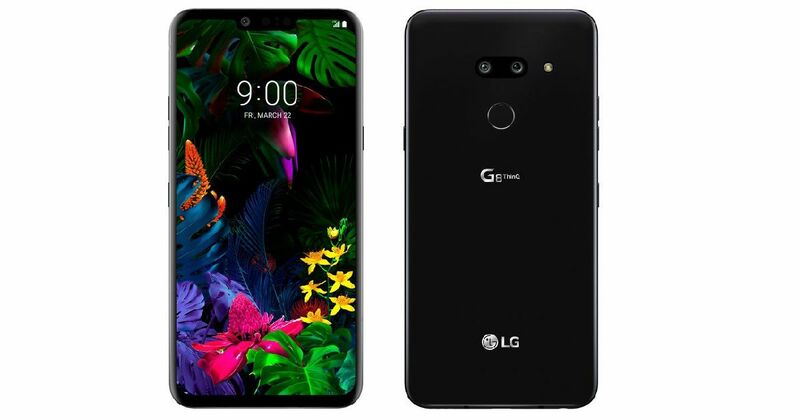 LG has scheduled February 28th as the launch date of the G8 ThinQ, however, its release date won’t be until March 22nd as revealed by a leaked render.